At nineteen, Berie encounters a seductive and mysterious man at a bus station near her home in North Carolina. Shut off from the people around her, she finds When a young woman leaves her family—and the civilized world—to join an off-the-grid community headed by an enigmatic leader, she discovers that belonging comes with a deadly cost, in this lush and searing debut novel. To ask other readers questions about The Ash Family, please sign up. I don't have much experience with cults and covens (I mean not a lot of people do.) so I was really looking forward to reading this. I know that it's fiction but I was hoping for at least a little info on cults in general. Unfortunately, I did not get that. One of my main problems with this book is that the reader is kind of thrown into the center and has to figure out what the heck is going on. As a writer, I know it's easy to write and not realize that your reader may not understand what is going on even though you do. Sometimes, authors forget that the reader is reading the book for the first time. That's what happened in this case. From page one, I had no idea what was going on. I was hoping it would get better but it didn't. Confusion aside, this book was straight up... Well.. Boring. Even once I was kind of able to figure out what was going on, I was just bored. There wasn't any action. I felt like the same thing just kept happening over and over again. The book covers two years of time but it felt like a month or two to me. Somehow, this book moved really fast but was still boring. Also, even though it's the main plot, the Ash Family was completely brushed over. We never know where they came from. What they want. Nothing. We don't even get introduced to the whole group. Occasionally, they'd throw out a name and I'd be like: Who's that? because there were so many background characters. Also, what was that ending. It wasn't even a good chapter ending, let alone an ending to a whole novel. Berie is unsure of what path to follow with her life. She seeks something more meaningful, something more essential, but she hasn't any idea of what that is until she meets enigmatic Bay at a bus station near her home in North Carolina. Bay promises Berie the life she's been imagining, on a farm cut-off from the rest of the world, where they live communally, fully off the grid. "This was the real world, he explained, and if I stayed I'd get a real-world name to replace my fake-world one. He said Berie is unsure of what path to follow with her life. She seeks something more meaningful, something more essential, but she hasn't any idea of what that is until she meets enigmatic Bay at a bus station near her home in North Carolina. Bay promises Berie the life she's been imagining, on a farm cut-off from the rest of the world, where they live communally, fully off the grid. "This was the real world, he explained, and if I stayed I'd get a real-world name to replace my fake-world one. He said I would come to understand that there was no definite self: in the Ash family there was no selfishness, so there were no possessions, no children, no couples." Bay tells Berie that she can stay for three days or the rest of her life. The Ash Family Farm seems to be the solution she needs, so she changes her name to Harmony and settles in. And as different as life on the farm is from anything else she's experienced, anything else she's been used to, she finally feels a part of something, and begins making friends. But like anything that seems perfect, life on the farm isn't quite that. More and more, Harmony starts to question things that are happening to her friends. She knows she needs to leave yet this is the first place she's truly felt she belonged, so can she ignore the warning signs she sees? When does belief change into brainwashing, when does devotion turn to fear? 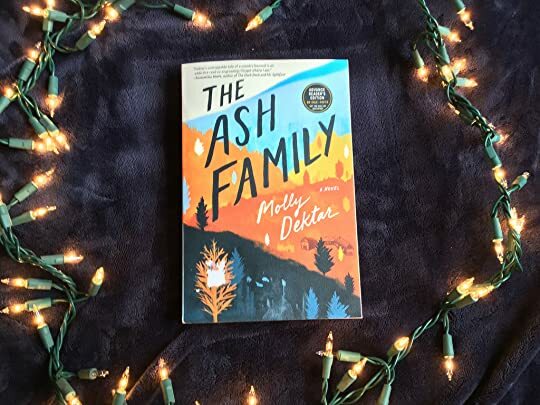 The Ash Family is an interesting exploration of life in a cult, and how, once you begin to see things as they really are, you sometimes can't seem to decide between whether to stay or whether to go. Do we pay attention to the truth in front of our own eyes, or do we disbelieve the things we see? Is the feeling of belonging enough to overcome the misgivings we have? There was an underlying sense of tension in this book that Molly Dektar really teased out quite well. While I found certain things about the book frustrating, such as a lack of character development in some cases, and not as much weight to the plot as I wanted, I was taken in particular by Dektar's evocative use of imagery. Her description of things was so vivid, poetic almost, that I felt like I could see things she mentioned very clearly. This book reminded me in some ways of the independent film Martha Marcy May Marlene , starring Elizabeth Olsen and John Hawkes. That movie, too, talked about a cult with an enigmatic leader, and also left me with more questions than answers. But even with its shortcomings, this is an interesting story, one that will definitely keep me thinking long after I've moved on to other books. NetGalley and Simon & Schuster provided me an advance copy of the book in exchange for an unbiased review. Thanks for making this available! This book will be published April 9, 2019.
but unfortunately- I only laughed when sharing ‘about’ this novel with my husband during reading ‘breaks’. I’d read Paul a few paragraphs. His questions made me laugh. “I don’t know, Paul. The ‘rules’ about soap wasn’t explained clearly....only that it was a ‘rule’ to follow along with a list of other rules at the ASH FAMILY FARM”. I’m 66 years old. I grew up in Berkeley during the Vietnam War - hippies - flower children - drugs - rock-n-roll - and communes. I was a no-fun-straight-lace type myself - but everyone my age lived through the chaos years of ‘free-love’ - ‘who am I?’ - and ‘all-we-are-saying-is-give-peace-a-chance’. So.... I thought reading ‘The Ash Family’... (taking a journey with ‘Harmony’ would be nostalgic fun. The problem was - it lacked dazzling pizzazz. Or ..... ‘maybe’... I was too familiar with this topic. But it’s possible other - readers - even young readers - might find this story riveting. In fact - I’d love to know how 18 and 19 year olds would relate to this book today. ..... Financial demands that threaten the individual’s well being. .... etc. we question love - Family - belonging -personal intimacy needs. ...Dice is the Ash Family leader. He used to work as an engineer- but “felt he couldn’t keep propping up the fake world forever”. but she often thought about her past - ( thoughts about her mother & boyfriend- Isaac)...she was trying to figure out her own beliefs. ...Two dozen young people lived on the farm...( having left the “fake world”)...you’ll get to know Bay, Dice, Sara- Gemini- and others in the community. ...Harmony hadn’t seen her father since she was six years old. Her relationship with her mother was unsettling. We see Harmony often comparing both worlds. ...Little utopia was an isolated mountain. Besides the 20-30 people ... there were sixty sheep, thirty cows, four pigs, twelve geese, sixty chickens, a raw milk dairy, an orchard, a vegetable patch, and an old farmhouse. ....The members shared everything- clothes - money- their minds - and bodies. Lost souls got along with lost souls! Harmony let herself fall into Dice’s leadership and enchantment. This story gets a little Cuckoo-Crazy towards the end - but also asks us to look at sacrifices- our willingness to face pain to save mother-earth! I liked the concepts of this novel ( great debut). Beryl is being pushed by her mother to go to college but instead she wants a deeper connection with the 'real' world, with nature. Her mother takes her to the airport to fly to school but Beryl decides to sneak off on her own instead. While waiting at the bus station, Beryl is approached by a guy named Bay who lures her into returning with him to an isolated commune in the hills of NC. The life there sounds just like what she's been dreaming of--a deeper connection with the natural world. Bay tells her that she can stay there for three days or forever...but 'why would you want to leave, when you'll have more freedom here than anywhere else?' he tells her. He tells Beryl that the family has a number of rules for the utopia they are creating: share money and clothes; have no fires in the barn; no leaving the farm for visits home; no 'fake world' medicine; no reading and writing; no phones, mirrors, or soap. Be expected to volunteer for hard tasks and do your share of the daily chores. But the biggest rule of all is there are to be no couples so no babies will be added to this already overcrowded world. Beryl doesn't mention that she has a huge crush on Bay, one of the reasons she wants to stay. Dice gives her her 'real' name now--it's Harmony. The story is told from Harmony's first person point of view so the reader is limited to her perspective, her judgments of right and wrong, lies or truth, her observations of what is happening. Oh you know that their supposedly blissful utopia is fragile, has to be, because they are prone violence, especially in their activism. And family members are expected to do what they are called upon to do, even if they hardly have the stomach for it. As always when we read about cults and communes, in real life or fiction, we hear about the brainwashing techniques used to make a person give up self and join the group think. They are systematically separated from their own family and friends so they will be more open to doings things they wouldn't normally do so they can belong to this new family. It's all very reminiscent of the Manson family, isn't it? I thought the writing and descriptions could be quite beautiful but as for plot, I think I wanted, was really expecting, more drama. And I really wanted Beryl to THINK, to notice that she was frequently lied to and manipulated, that the rules didn't always apply to everyone equally. I received an arc of this book from the publisher via NetGalley for my honest review. Many thanks. So I guess Dektar was giving is a 'cult 101' class with this story. I was left feeling a bit *meh* after reading it, I was obviously expecting something else. I thought it was going to be a slightly dark and twisted novel. I found more of a soul search inspirational novel that wasn't quite fully executed. Putting those pre conceived expectations for fiction occult novels aside, Dektar wrote some interesting characters. Our little friend, Berie aka Harmony, is 'chosen' to come and live with the Ash So I guess Dektar was giving is a 'cult 101' class with this story. Our little friend, Berie aka Harmony, is 'chosen' to come and live with the Ash Family. I would have to say that is just about the most exciting thing that happens to her. There are a few disturbing events, however, most of the details of these events are questionable. Not only do we have an unreliable narrator but the family that she lives with is seeped in manipulated 'truths'. Dektar certainly had me hating Dice, the fearless leader, and wanting so much more from Bay. I guess you could read this and question your own priorities or maybe see how people are manipulated every day into seeing reality in the way society (in this case with the mask of a cult leader) dictates. I kept waiting for the moment of 'aha' to hit whenever Berie was going through one of her muddled brain/grasping at the secrets of life moments. I just never really got on board. I am not claiming to be enlightened, this one just didn't flip my switch. I would be willing to read another novel by Molly Dektar just to see what kind of range she has as a writer. I just wouldn't necessarily recommend this one. A special invitation from NetGalley (I know some of you get these all the time) yay! This book was intriguing, a curiosity. It tells of a young woman's introspection and confusion as she leaves her life behind and joins a different kind of "family" - a commune, a cult. As her mind absorbs her new environment and she tries so hard to fit in, her inner self continues to question and to desire things she's no longer supposed to want. Her brainwashing is almost total, with "almost" being the key word. She has both feet planted in her new world (the "real world" as her new family calls it), but is still dangling her toes in the waters of her former life. With lyrical details and a darkness blanketing the story (no spoilers, but I couldn't help but wonder throughout the book how this could possibly end well), the writing kept me engrossed until the end. I wanted more at the end, but I think it wouldn't have served the story well if I had gotten what I wanted. And now I sound like one of the "family." Eek. Berie is 19 years old and is very unsure about going to college. It’s her mother’s dream, not hers. When she meets a stranger named Bay at a local bus station, she decides to give his off-the-grid community a chance. They tell her that she can stay three days or forever so she has a little time to decide. She’s always felt a connection with nature and wants to help save the world and thinks that this community, known as “The Ash Family”, is the answer so she decides to stay. She’s given a new na Berie is 19 years old and is very unsure about going to college. It’s her mother’s dream, not hers. When she meets a stranger named Bay at a local bus station, she decides to give his off-the-grid community a chance. They tell her that she can stay three days or forever so she has a little time to decide. She’s always felt a connection with nature and wants to help save the world and thinks that this community, known as “The Ash Family”, is the answer so she decides to stay. She’s given a new name – Harmony – and is encouraged to forget the “fake world”. She learns how to take care of the farm animals but soon learns that there’s a violence to that part of the world that she has trouble accepting. She struggles with thoughts and longings for the “fake world” and with her desire to be a trusted part of this family. She begins to have doubts but she’s been pulled so far into this secretive world that she believes she may be trapped forever. This is the author’s debut and while it isn’t perfect, it held me completely in its thrall. There’s a deep understanding of how a cult leader can manipulate the mind, creating a strong desire to belong and be trusted, no matter what. While there were certainly times I wanted to shake Berie and tell her to wake up, I could see how she was masterfully pulled into this world. She was kept exhausted physically by the hard farm work and her mind was constantly being influenced by the leader’s “stories”. Berie soon feared the family’s lack of trust more than she feared their punishments. There are moments of literary beauty that assures this author of a promising career with her vivid, realistic characterization and atmospheric setting. This is an author to keep an eye on. A strong debut that is highly recommended. There’s just something inherently fascinating about cult stories: What makes someone give up their life to join one? How do they become seduced by it despite the red flags? When and how to utopian ideals transform into something dangerous and controlling? Seeking something more out of life than college and settling down, 19-year-old Berie joins the Ash Family, a community of eco-terrorists living off the grid in the woods of North Carolina. Drawn to their “essential” lifestyle, she is determined t There’s just something inherently fascinating about cult stories: What makes someone give up their life to join one? How do they become seduced by it despite the red flags? When and how to utopian ideals transform into something dangerous and controlling? Drawn to their “essential” lifestyle, she is determined to do anything to earn the trust of the Family’s charismatic leader, Dice. As suspicious events start happening, Berie is torn between her ties to those she cares about both inside and outside the Family and her devotion to their mission of giving up the self for the purpose of the community and the environment. Debut novelist Molly Dektar creates such a vivid setting, atmosphere and mood. There’s a subtle feeling of ominous tension that she teases out, while simultaneously lending insight into Berie’s desperate need for belonging. Her ambivalence is what keeps her so interesting as a character: constantly teetering between doing what she wants to do and doing what she feels like she ought to do—and often confusing the two. Fans of cult novels like Emma Cline’s The Girls and lush mysteries like Abby Geni’s The Lightkeeper’s will certainly like this one. Teenager Berie makes a snap decision to get in a car with a stranger named Bay. Her life will never be the same as she is pulled into the web of a charismatic cult leader who runs an off-the-grid farm. A jarring and thought-provoking story of exploiting vulnerability and highlighting how easily someone can get sucked into mind games and manipulative tactics of a madman. Thanks to Simon & Schuster for the ARC in exchange for my honest review. The Ash Family is a farming commune in the mountains of North Carolina. Berie is a young woman who doesn't know what she wants and has let her mother and her boyfriend tell her what to do until the moment she leaves for university and decides not to go, turning around and taking a bus to Asheville. At the bus stop, she encounters the charismatic Bay, who brings her to the Ash family farm and where she learns to work with farm animals, and is drawn into the close and tightly controlled group led The Ash Family is a farming commune in the mountains of North Carolina. Berie is a young woman who doesn't know what she wants and has let her mother and her boyfriend tell her what to do until the moment she leaves for university and decides not to go, turning around and taking a bus to Asheville. At the bus stop, she encounters the charismatic Bay, who brings her to the Ash family farm and where she learns to work with farm animals, and is drawn into the close and tightly controlled group led by Dice, who also leads the inner circle of his group in a little light eco-terrorism. Berie is desperate to be trusted enough to join them and throws herself into the endless tasks involved in pulling a living out of the land. She's also desperate to get time with Bay, who is often gone recruiting new members and desperate to be accepted and find a home within the Ash Family. 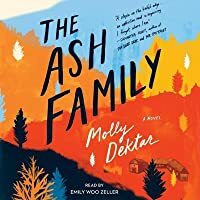 As Molly Dektar's debut novel goes on, it becomes increasingly clear that the Ash Family is not a benign group and equally clear that the members are being kept under tight control and surveillance. Berie's need for belonging can't entirely hide the less savory aspects of the commune from her, especially as her one friend is protecting a secret and Berie will not be able to remain free of the consequences. And, back in Durham, there are people worried about her and while they might be able to tell her that they want her to come home, whether or not Berie leaves is entirely up to her. A mild debut with promise sprinkled about, but not enough to keep me reading. The story details a girl who joins a cult, but it is not nearly as interesting as it could have been. The writing is a bit choppy and, while the author makes some beautiful observations here and there, it mostly reads as meandering and unfocused. However, this is definitely a book where I could see the author writing something brilliant after she’s had more practice! This book sounds so good - there's a cult, it's Appalachia, the blurb says something about missing people. Ideally, you should have the trappings of a thriller, but the blurb is misleading. This is not what I would call a thriller, and honestly I was rather bored through half of it. The pace finally picks up a bit at the halfway mark, but it still slows, reving up in fits and starts like an old clunky car. Perhaps I'm being unfair, because there are good parts. The book tells the story of Beryl, This book sounds so good - there's a cult, it's Appalachia, the blurb says something about missing people. Ideally, you should have the trappings of a thriller, but the blurb is misleading. This is not what I would call a thriller, and honestly I was rather bored through half of it. The pace finally picks up a bit at the halfway mark, but it still slows, reving up in fits and starts like an old clunky car. Perhaps I'm being unfair, because there are good parts. The book tells the story of Beryl, an 18-year-old who was supposed to be on her way to college but ends up on a homestead in western North Carolina, and by "homestead" I mean "full-on cult". It's an interesting exploration of identity and the ease with which young adults (all adults really) can be swayed and taken in by a bit of charisma. There's also some good digs at America's denial of climate change. I would venture to say that overall, it's a good book, it just didn't meet my expectations. "Why would you want to leave, when you’ll have more freedom here than anywhere else?” He said. The family’s father, Bay said, was Dice, and Dice would understand me the way a lightning bolt would understand a rod. When I began this book, I was fairly certain it would end up as a DNF for me. However, I was interested enough to keep reading and give it a chance. While I did have some issues with the story, I also was intrigued and engaged with what was happening. A young woman named Beryl is headed to college, but suddenly decides to go off the grid and join this “family” and take a new name, cutting all ties with her former life. I never did understand why Beryl’s life was in such a state that she felt comp When I began this book, I was fairly certain it would end up as a DNF for me. However, I was interested enough to keep reading and give it a chance. While I did have some issues with the story, I also was intrigued and engaged with what was happening. A young woman named Beryl is headed to college, but suddenly decides to go off the grid and join this “family” and take a new name, cutting all ties with her former life. I never did understand why Beryl’s life was in such a state that she felt compelled to join this group and just disappear. The writing reminded me somewhat of stories like The Handmaid’s Tale, where there are sparse details, so the reader must try and imagine what is going on behind the scenes. I wasn’t that pleased with the ending. I’m guessing it was purposefully written to be confusing. I’m glad I stayed the course and finished the book. I liked it in spite of a few issues I had with the story. This is a debut novel, so I look forward to seeing future work from this author. Thank you so much @simonbooks for the free book and bringing this book to my attention. Wow, talk about sneak attack! This book slowly builds with vivid descriptions and tension and then AHA! I was full on pacing my house while reading the last hundred or so pages and shouting curse words (I was alone thank goodness). Now that the adrenaline in my body is back to normal, I can rest easy and breathe. Ever since reading THE GIRLS I’ve been looking for a cult story that hit all the marks and I really Thank you so much @simonbooks for the free book and bringing this book to my attention. Ever since reading THE GIRLS I’ve been looking for a cult story that hit all the marks and I really think this is the one. FINALLY, we have a winner! Berie is but 19 when she decides to abandon college and run for the hills (quite literally). Vulnerable and seeking an easier life and one of belonging she is picked up by a man named Bay. Bay brings her to a place they call The Ash Family where people stay for 3 days or for a lifetime. Some of us have dreams of living off the grid (not me but my hubby). Some seek an easier life, away from the hustle and bustle. I can see the appeal and Dektar does an excellent job of telling a compelling tale. From the beginning though you know things aren’t quite right with The Ash Family. The manipulation is evident to us as a reader but what about if we were young and searching to belong? I received an advance review copy through Netgalley. This does not affect my rating or opinions. This was interesting enough that I made it all the way through — though there were multiple moments when I told myself I would just finish one more chapter then DNF and move on — but maybe I've just read too many stories about cults and communes? Because this one had no impact whatsoever; I wasn't invested in any of the characters, or the setup. Beryl/Harmony is naive and lost, with a desire I received an advance review copy through Netgalley. This does not affect my rating or opinions. This was interesting enough that I made it all the way through — though there were multiple moments when I told myself I would just finish one more chapter then DNF and move on — but maybe I've just read too many stories about cults and communes? Because this one had no impact whatsoever; I wasn't invested in any of the characters, or the setup. Beryl/Harmony is naive and lost, with a desire for a family that should be relatable, but for some reason I just couldn't muster much sympathy for her despite being almost exactly the same age and similarly feeling a bit adrift. A lot is packed into these pages, and I felt like consequently none of it was given due weight. The philosophy isn't really explained ("Get relativity" still doesn't make sense to me), and even accounting for brainwashing and dissociation this felt more like a thought experiment than a novel. But the difference with this book is Dektar's writing; it is both hypnotic and haunting as we see from Harmony's perspective how she is slowly taken in by the smooth-talking Dice and taught to "get relativity" and "there's no such thing as a definite self." Huh?? But she wants to believe so strongly that she gives into these nebulous theories and believes all the wild allegations that Siberia is melting and Armageddon is close on its heels. With many other novels like these, I find myself thinking, "How can you not see what is happening here?" But with this book, even though Harmony is naive and needy, somehow I sympathized with her as she desperately clings to the idea that she loves Bay and she will come to be trusted. Granted, it's uncomfortable reading at times, but isn't part of reading a good book getting out of one's comfort zone to uncover truths that permeate society? So hats off to Dektar for a marvelous debut novel! I certainly look forward to more from her! The Ash Family by author Molly Dektar is a book about doing what makes you happy. What you THINK would make you happy. Full of ambition, the main character quickly finds out that things are not always as they seem. A great book with a great plot! Thank you Netgalley and the publisher for an arc copy of The Ash Family in exchange for an honest review. A perfectly fine book, with interesting cult aspects. I only gave it three stars because it dragged in places for me with overly detailed descriptions of minutiae. Absolute beauty beauty beauty on a sentence level if you love words and writing abt land/nature/animals/emotions/trees/desire/regret/connection/the untouchable/etc. A work of art. I've loved Molly Dektar's writing for years. Nothing really happens in this book. You don't get to know much about the characters, not even the main one. The only reason I'm not giving it a 2 star rating is because the writing was good. It kept me reading, even though the book dragged on. Darkly poetic, The Ash Family is the story of Berie as she joins a cult in the back country of North Carolina. Leaving for college, she makes a decision to follow a man she met at bus station. What follows is an account of her time in the community and wrestling with the question what makes someone join a cult. I found the story to be compelling and thought provoking, though a bit slow in places. But it left me with a lot to ponder. Who are we really and what forces shape us? Give this book a rea Darkly poetic, The Ash Family is the story of Berie as she joins a cult in the back country of North Carolina. Leaving for college, she makes a decision to follow a man she met at bus station. What follows is an account of her time in the community and wrestling with the question what makes someone join a cult. I found the story to be compelling and thought provoking, though a bit slow in places. But it left me with a lot to ponder. Who are we really and what forces shape us? Give this book a read if you enjoyed books like Educated, Sound of Gravel, or The Great Alone. Instead of getting on a plane for college, Berie goes to a commune in the forest with Bay, a charismatic man recruiting for Dice and his "family." Berie was never satisfied with her life, with her mother who wanted her to go to college, with her boyfriend Isaac, an artist with whom she had attempted small anti-establishment efforts. But Dice and his group truly are anti-establishment. They live on the land, forage for food, scavenge Dumpsters from the "fake world" to bring back to their real wor Instead of getting on a plane for college, Berie goes to a commune in the forest with Bay, a charismatic man recruiting for Dice and his "family." Berie was never satisfied with her life, with her mother who wanted her to go to college, with her boyfriend Isaac, an artist with whom she had attempted small anti-establishment efforts. Is this the real life? Is this just fantasy? Caught a landslide no escape from reality. Open your eyes, look up to the sky and see......anyway the wind blows. Berie, a seeking/searching 19 year old, decides instead of getting on the plane heading to college, to join an off the grid community with a charismatic father figure. She wants to live a "real" life close to nature, to be recognized and be loved. But as in the Queen Bohemian Rhapsody quote above, is this real or fantasy? And at what cost? Is this the real life? Is this just fantasy? Caught a landslide no escape from reality. Open your eyes, look up to the sky and see......anyway the wind blows. She wants to live a "real" life close to nature, to be recognized and be loved. But as in the Queen Bohemian Rhapsody quote above, is this real or fantasy? And at what cost? I find cult literature interesting, a quest to understand how an individual can choose to leave all they love and are, only to lose themselves. Molly Dektar has a lovely grasp of the English language, some descriptions almost lyrical. I look forward to her next publication. I'll admit I originally choose this book based on the cover, but the story inside was equally as beautiful! I did find myself struggling with the writing style in the first part of the book, but by the second half, I found I was lost in the mountains of North Carolina with Harmony and the rest of "the family" and couldn't wait to see how the story ended. Such an eye-opening and beautifully written book. If you find yourself struggling with getting into the book, don't give up, it's worth stickin I'll admit I originally choose this book based on the cover, but the story inside was equally as beautiful! I did find myself struggling with the writing style in the first part of the book, but by the second half, I found I was lost in the mountains of North Carolina with Harmony and the rest of "the family" and couldn't wait to see how the story ended. Such an eye-opening and beautifully written book. If you find yourself struggling with getting into the book, don't give up, it's worth sticking with it! A wonderful first novel where the young narrator takes you inside a commune that quickly shows itself to be a cult with strict rules and delusional world philosophies. She reveals her moment to moment thoughts, loves and fears so openly that it makes sense that she would stay with these people than to go out and face the real world. A really smart first book. This is an extraordinary debut novel from a writer from North Carolina, which is where this story takes place. For a good portion of the novel, I thought I was reading a memoir, until I looked again, and saw that it’s a work of fiction. The characters in this book are some of the most detailed and believable characters I’ve read in a novel. Particularly, Berie/Harmony, the protagonist. And Dice, the “family” leader, as the antagonist. I have participated in a number of cults over the course of my life. I think there’s just something from a very young age that fascinated me about institutional environments. I had an intense desire to attend West Point starting when I was eight years old after reading one of those West Point novels. I am 66, so West Point was not open to women around the time I went to college, or I believe I would have given my most to be able to attend there. Given my background with cult membership, I thought the author was writing a memoir, because she described life in a cult so accurately. The obedience to the leader figure; the strange and abnormal ideas followers come to accept as true; the strong groupthink; the ostracization and cruelty when a member stepped out of line; the paranoia about the world outside the cult was so on-point. All these things I have experienced, and were part of this story, so kudos to the author for getting cult attributes right. The descriptions of nature were just beautiful. The “family” lived in the deeply isolated woods of North Carolina, and spent all their hours working to sustain themselves with animals and planting. Plus her descriptions of the surrounding woods, streams and animals were breathtaking. So much of the language and imagery were just stunning. The plot arc’d tightly. I felt so much underlying tension and fear as the story progressed, all the way through the climax and resolution of violence, death and destruction. I highly, highly recommend this novel. 5+ stars! I can’t wait to read what Molly Dektar writes next. Thank you to Simon & Schuster for allowing me an early look at this superlative work of fiction. This review will be posted on NetGalley, Goodreads and Amazon. Molly Dektar is from North Carolina and lives in Brooklyn. She received her MFA from Brooklyn College, where she was awarded the Himan Brown Award and the Brooklyn College Scholarship for Fiction. The Ash Family is her first novel.